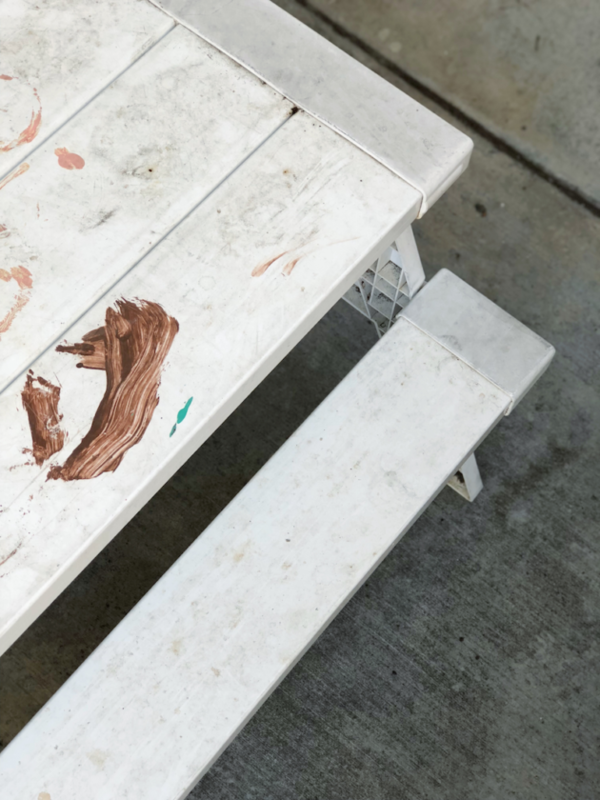 Gone are the days when I would walk into a room and find my son covered with marker like a giant tattoo or my floor an extension of my daughter’s “artwork.” My kids are old enough to “stay inside the lines,” but their days of painting and coloring seem to be forever imprinted on my furniture. 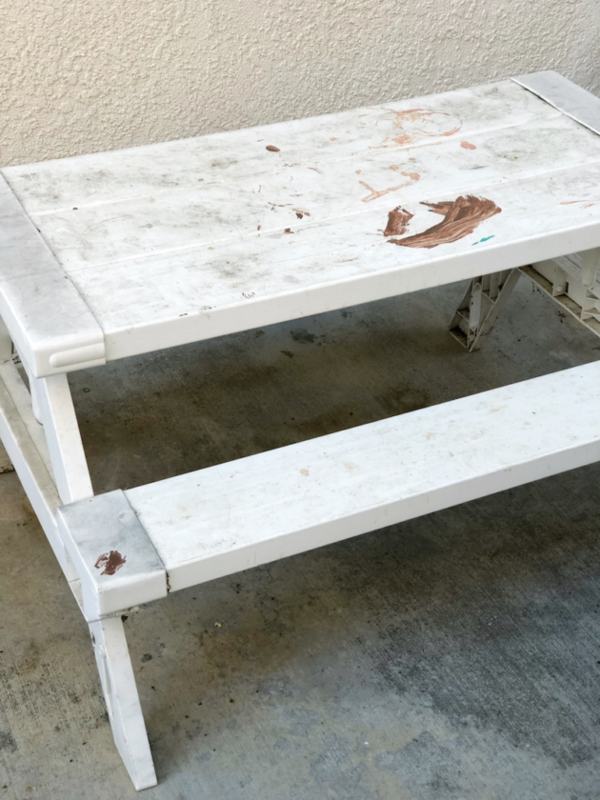 Specifically, I have a cute white table that sits on my porch, forever stained by my kids’ artistic endeavors. Clorox just launched their new regular bleach2 with CloroMax™ Technology designed to whiten, fight dirt, and disinfect while protecting surfaces. 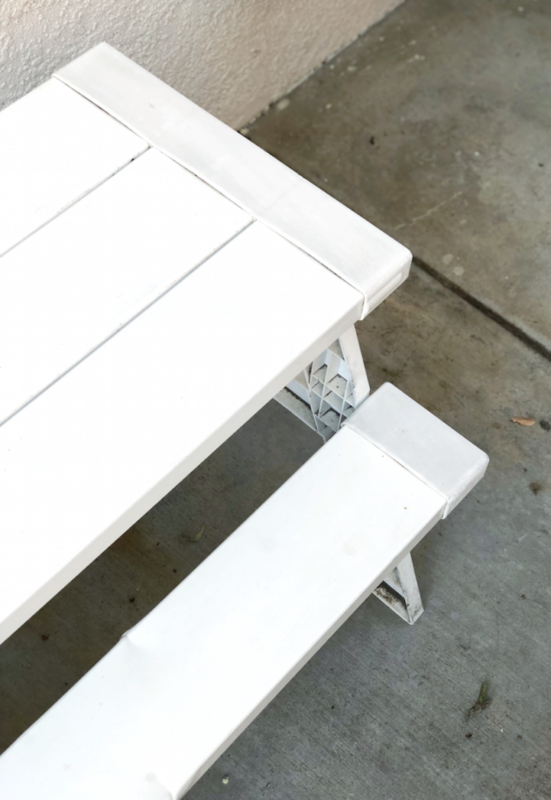 Since the product is highly versatile, I decided to showcase how to remove dried paint from surfaces like my outdoor table. This is a sponsored post in collaboration with Clorox. 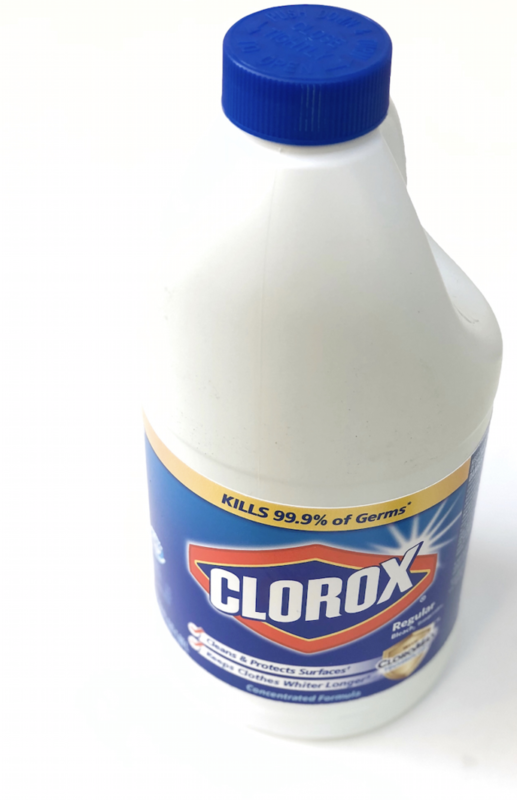 Clorox just released their new Clorox® Regular Bleach2 with CloroMax™ Technology, and this Fall you will likely see it at your local retailer. 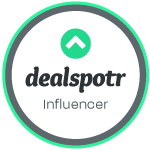 This new technology will continue to whiten, fight dirt and disinfect while protecting surfaces and keeping your clothes whiter longer. When you use Clorox® Regular Bleach2 with CloroMax™ Technology, it will adhere to hard surfaces, forming a protective shield that repels stains to make cleaning quick and easy. The product works by reducing soil adhesion to surfaces for quick, effective clean-up and improves the performance between Clorox Bleach and detergents for brighter, longer-lasting whites. You can also use Clorox® Regular Bleach2 with CloroMax™ Technology to disinfect surfaces since it can kill 99.9% of germs and bacteria. Before using Clorox® Regular Bleach2 with CloroMax™ Technology, it must be diluted according to the instructions on the label. 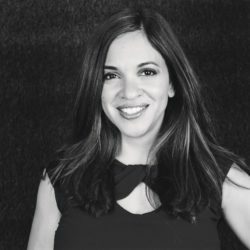 Dilution will vary, depending on how the product is used. For plastic surfaces, I used a dilution ratio of 1/2 cup of bleach to 1 gallon of water. 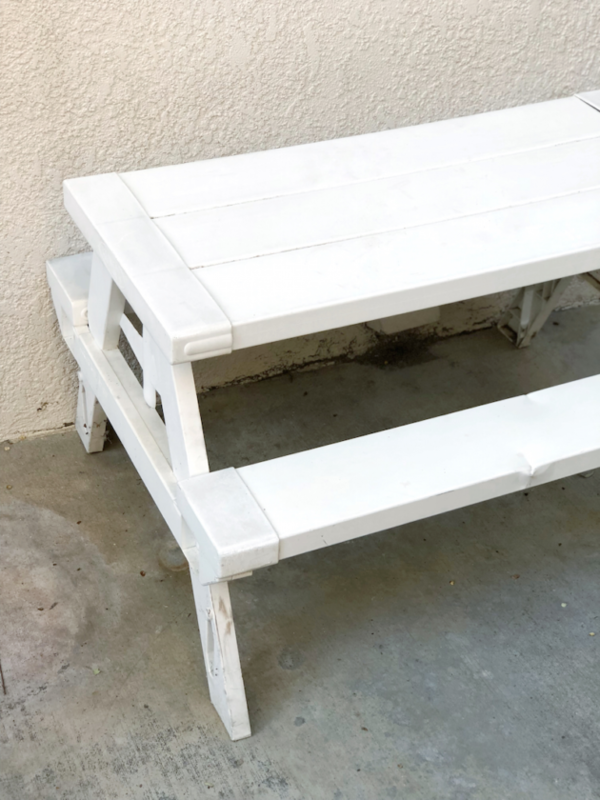 For years I have been attempting to remove the stains on my outdoor table using store-bought cleaners without any success. Within 10 minutes, my outdoor table looks brand new. 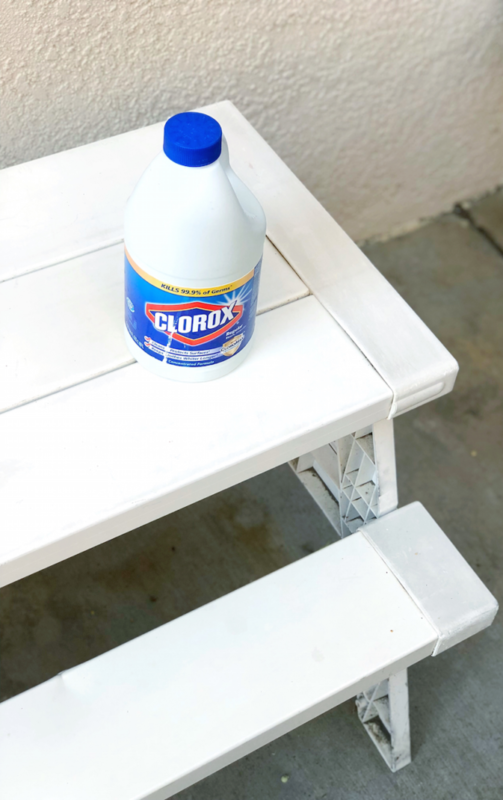 Clorox® Regular Bleach2 with CloroMax™ Technology works quickly and effectively and is versatile enough to use in your bathroom, the kitchen, the playroom, and outside. If this is your first time using Clorox® Regular Bleach2 with CloroMax™ Technology, I recommend cleaning and disinfecting in a well-ventilated area. I also recommend using gloves and protecting your eyes in the event of a splash or a spill. Clorox® Regular Bleach2 with CloroMax™ Technology should be kept out of the reach of children. For additional information and tips on cleaning nearly every surface in and around your home, visit Clorox.com. I’ve had the same issue before when I’m trying to clean up decorations in preparation for parties. Clorox has always been wonderful.